Deep in the rugged bushveld, in the heart of an ancient volcano, lies the world's most unique resort, the internationally acclaimed Sun City. The Resort has a unique heartbeat and an African rhythm of its own and is unlike any other Resort destination in the world. This is pure fantasy and your every desire is met. Sun City Resort in the Pilanesberg in the North West Province is one of the most remarkable destinations in Africa. Sun City Resort is rated among the world's most unusually conceived, and most lavish, inland resorts. There are four world-class hotels including Cabanas, Cascades Hotel, Sun City Hotel and Casino and the magnificent Palace of the Lost City that glitters like a jewel beneath the African sun, brilliant in its rain forest surroundings and luxurious in its detail and design. Adjoining the Resort, is the beautiful Pilanesberg National Park, which will delight game viewers as it is a malaria free zone and home to the "Big 5" (Buffalo, Elephant, Leopard, Lion and Rhino). The Sun City resort has amazed the international community with its glamorous casinos, gourmet restaurants, extensive sports facilities and star-studded spectaculars. The full variety of entertainment on offer ranges from slots to safaris; the theatre extravaganza to a games arcade for children; horse riding to golf; the Valley of Waves to The Lost City. Whatever it is that you are looking for, you'll find it at Sun City. The Palace of the Lost City is a fantasy world of Africa 's jungles, cliff-tumbling gardens, streams, waterfalls, swimming pools, and al fresco entertainment areas. Legend tells us that the Palace of the Lost City was built as the royal residence of an ancient civilization of South Africa, but was destroyed by an earthquake. It has now been restored to its former glory and offers splendid accommodation in the most sumptuous surroundings in South Africa. Overnight visitors to any of the hotels at the Sun City Resort have free access to the Valley of the Waves. This is the most advanced water park in South Africa. A large lagoon dominates the scene with a wave machine capable of generating 1.8 metre waves every 90 seconds. This water park has five exhilarating flume rides. From the aptly names Temple of Courage swimmers drop a heart stopping 17 metres down a chute and under a bridge before splashing into a small pool at the foot of the slide. For the less adventurous visitor to the Sun City Resort why not take a ride on the 'Lazy River'. A variety of sports activities may be enjoyed at Sun City. Year-round good weather in this part of South Africa, ensures that Tennis, squash, swimming, golf, mountain biking, horse riding, and parasailing are all on offer throughout the year. Sun City has laid out spectacular jogging trails. Sun City's Gym and Health spa keep you perfectly toned, and a beauty treatment is the perfect way to wind down after a workout. A wide range of water sports including Water-skiing, Parasailing and Sunset Cruises can be enjoyed at the Resort's Waterworld. The Super Bowl is Africa's finest venue for concerts. Stars such as Queen, Bryan Adams, Frank Sinatra and Rod Stewart have performed at this 6,000-seat arena. This arena is also one of South Africa 's favourite venues for beauty pageants and sporting The Sun City Resort spectacular is famed throughout South Africa as a glamorous & sophisticated theatre production. This stage revue pulsates with energy and is well known for spectacular sets, trapeze acts and glorious costumes. The Drakensberg includes the highest mountains in Southern Africa. The name means Dragon Mountains in Afrikaans and is called uKhahlamba in Zulu which means "barrier of spears". Large parts of the Drakensberg were declared a world heritage site in 2000 due to its ecological and cultural diversity. The range stretches over 300km (186 miles) along the edge of KwaZulu-Natal and completely encompasses The Kingdom of Lesotho. The Drakensberg can be divided up into three main sections - the Northern Drakensberg, Central Drakensberg and Southern Drakensberg. These regions also include different parks and reserves as well as towns such as Ladysmith and Ixopo. The mountains draw both local and international tourists, who come to see the regions scenic beauty, beautiful flora, cultural history and the areas many hiking trails. 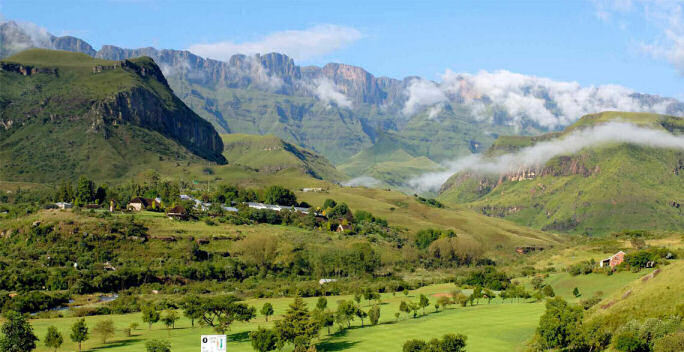 Within the Drakensberg of KwaZulu-Natal lies the 243 000-hectare mountain region that is also a world heritage site, known as Ukhahlamba-Drakensberg Park. Not only does it boast some of the most incredible scenic beauty, but it also has over 600 examples of San rock paintings in caves around the park. The Drakensberg is not only about its famous mountain peaks - Giants Castle, Cathedral Peak, Mont-Aux-Sources - it is also graced with a number of lower peaks known as the foothills of the Drakensberg. The entire Drakensberg is riddled with incredible waterfalls, rock pools, mountain streams, caves, crisp mountain air, and special spaces that draw both visitors to South Africa and locals alike. What makes it so popular, besides its sheer majesty, is its accessible plateau and the numerous passes and slopes that make for some of the best and most strenuous hiking in the province; possibly South Africa. The Drakensberg was featured in the 2009 American science fiction film 2012. It was mentioned in the last scene of the movie, where after twenty-seven days of a great flood which people tried to survive by building arks, the waters began receding. The arks approach the Cape of Good Hope, where the Drakensberg (now the tallest mountain range on Earth) emerges. You can visit and explore the Drakensberg as a day visitor but to fully appreciate all that the region has to offer, we recommend a stay of a few nights. 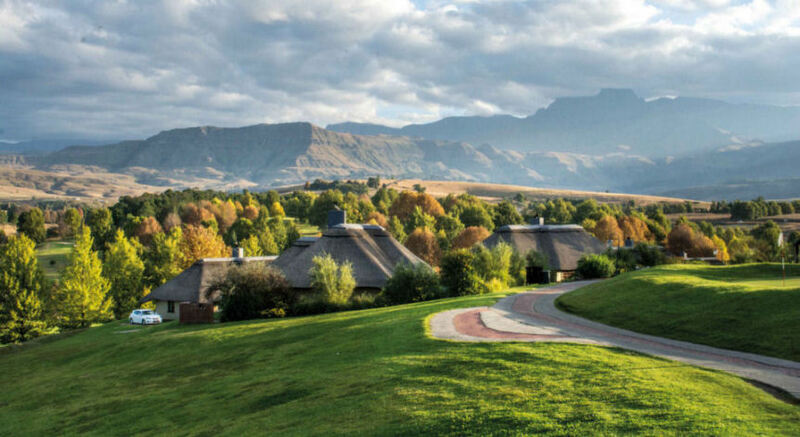 The Drakensberg accommodation options include hotels, self-catering, Bed & Breakfast and fully catered, luxury lodges. 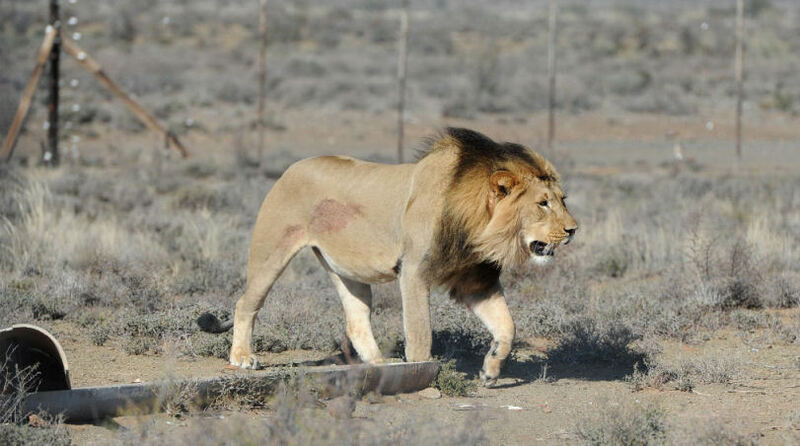 The Lion Park is a 600 hectare wildlife conservation enclosure located in the Gauteng province, just near Lanseria Airport within distance of Johannesburg and Pretoria for Transvaal lions. The park has a large variety of predators and large herbivores indigenous to Africa. If you are pressed for time, or your trip does not include a journey to one of the major game reserves in South Africa, then it follows that you might still want to view lions 'up close and personal' in a wildlife conservation enclosure. In fact, if you've just come in the country via Lanseria Airport, you could make it one of the first things you do after stepping off the aeroplane, as the Lion Park lies between Lanseria Airport and Fourways, making it incredibly convenient and a wonderful first encounter with South Africa. The Lion Park is home to over 80 lions including the rare white lions and many other carnivores such as South African cheetah, Cape wild dog, hyena and spotted hyena, black-backed jackal, and a wide variety of antelope which roam freely in the antelope area. The antelope area, containing blesbok, gnu, impala, gemsbok, and zebra, is in a separate part away from the lions and other carnivores. Our Travel2Africa tour experience will help you get an up-close look at all the animals in the place. The only downside is that the animals are in enclosures but the upside of that is that those who could never afford to see these animals in their natural surrounds can visit the Lion Park and experience first-hand these beautiful beasts. South Africa’s Cape Town has once again been included in a list of the World's Top 15 Cities according to the latest Travel + Leisure survey 2017. The international travel magazine hosts the annual survey through a reader questionnaire. Readers vote on several categories, including the world's best hotels, airports, spas and islands. 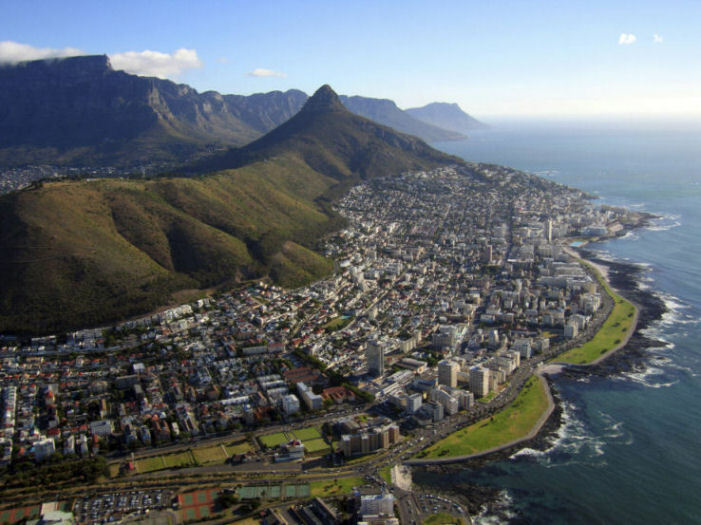 Cape Town has featured below the top 10 spot for several consecutive years. 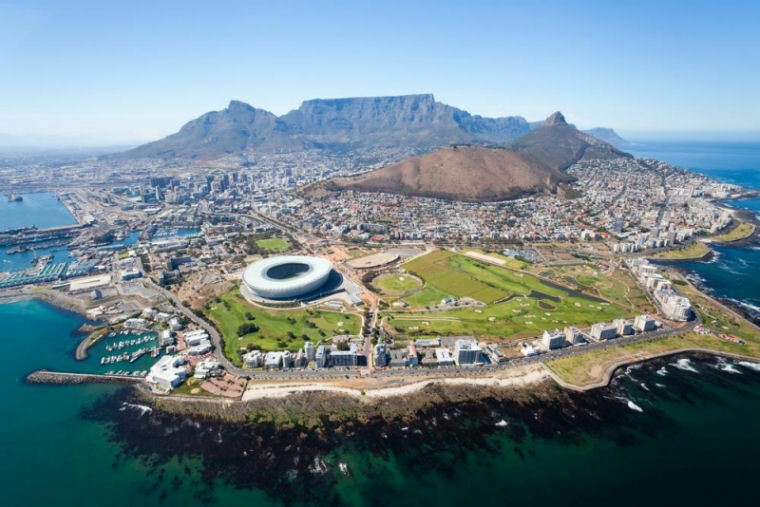 According to the magazine Cape Town is ranked at number eight this year. The magazine described the city as "cutting-edge, artsy, and buzzing with energy", and applauded the variety of activities in Cape Town. "There are few places in the world where you can exercise your shopping skills (head to Woodstock's Neighbourgoods Market on Saturday mornings for Afrikaans jerky and silk-and-leather sandals), take off on a safari, or indulge in world-famous cuisine and meet the South Africa's cuisine all in one weekend," the magazine explained. Atlantic-facing Clifton Beaches are the South Beach of South Africa, known for enormous natural boulders tumbling into the sea, pristine sunbathing conditions, and the capoeira dancers that entertain crowds with fire and African drums on Monday nights. Top of the list, however, Mexico’s San Miguel de Allende, with Charleston in the United States and Chiang Mai in Thailand in second and third place respectively this year. These were followed by Kyoto in Japan, Florence in Italy, Oaxaca in Mexico, Hoi An in Vietnam, just below Cape Town is Ubud in Indonesia, followed by Luang Prabang in Laosand, Santa Fe in New Mexico, Rome in Italy, Siem Reap in Cambodia, Udaipur in India, and taking the 15th spot is Barcelona in Spain. Readers rate the top cities based on sights, culture, arts, food, friendliness and shopping. The Ellerman House, a Cape Town hotel, also made it on to the list of the World's Best 100 Hotels, ranked at number 73. Other South African hotels on the list includes; Beyond Phinda Forest Lodge, Phinda Private Game Reserve at number 44, Londolozi, Sabi Sand Game Reserve at 35, La Residence, Franschhoek at 18, Singita Sabi Sand, Sabi Sand Game Reserve at 14, and Tswalu Kalahari, Tswalu Kalahari Reserve at number 6.